Did you know that there are more than 1,000 types of cheese? For dairy lovers, that sounds like a dream come true! In fact, the surplus of cheese may sound great to your dentist in Fayetteville, NC, too! Why? Cheese is packed with calcium and can help restore tooth enamel. That’s right, cheese isn’t perfect for just about any meal, but it can be beneficial to oral health, too. Quick! Before you stock up your fridge with this tasty topping, make sure you know your cheeses. Not all types offer the same advantages. Your dentist recommends adding more cheese (of course in moderation) to your diet because it’s better for your teeth than you may realize. What is it about cheese that makes it so good for your teeth? A number of factors about it works to help stop tooth decay. Calcium and phosphorus work to strengthen the jawbone. 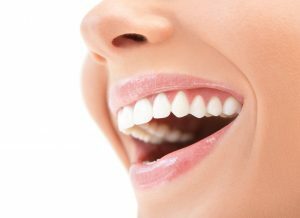 Casein and whey protein rebuild tooth enamel (the protective layer of your teeth). Chewing cheese stimulates saliva flow to naturally wash away lingering dental bacteria. The biggest factor that your dentist loves about cheese is the calcium. Calcium is known to strengthen bones and can clearly help your teeth. It’s important to understand that cheese does need to be snacked on in moderation. The best thing that you can really do for your overall health is maintain a balanced diet, including cheese. Here are some other foods that include prominent levels of calcium that are great for your teeth. If you need more suggestions about which types of food you should be adding to your diet, you can get help from your local dentist aka cheese expert! Here at Ascot Aesthetic Implants & Dentistry, we want people to feel great about themselves. This starts with your health habits and hygiene. Your dentist is here to help you feel great from the foods you eat to how you clean your teeth and gums. Feel free to contact us for helpful dental advice.